Soil is a complex mixture of organic matter, water, air, minerals, and living things formed after the chemical disintegration of rock fragments. Soil quality is the interaction of physical, chemical and biological properties for agricultural practices and other activities performed in the soil. 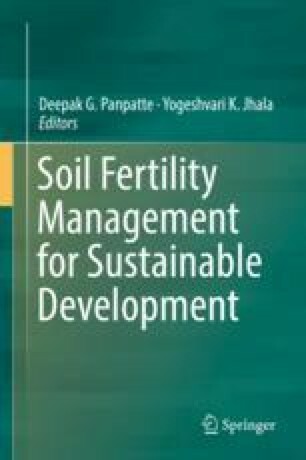 This book chapter focuses on methodological issues and observations on soil quality status in the global and Nepalese perspectives. Different researchers have used different methodologies for assessing soil quality. Most of them have focused on measuring physical, chemical and biological parameters by using standard methodologies and deciding soil quality status thereafter. Different land use patterns (forest land, grass land, agricultural land, and residential areas) have different quality of soil in their different altitude, slope aspects, and soil types. They have observed that use of modern and conservation type farming practices have helped to minimize soil erosion in hill slopes and other agricultural fields, conserve the physical, chemical and biological properties of soil, and increase the crop productivity. It is necessary to minimize anthropogenic activities on soil to maintain soil quality status of any type of soil. Regular monitoring of soil quality is also important to conserve its quality, increase agricultural output, and income, and enhance the standard of living of the agricultural dependent people.